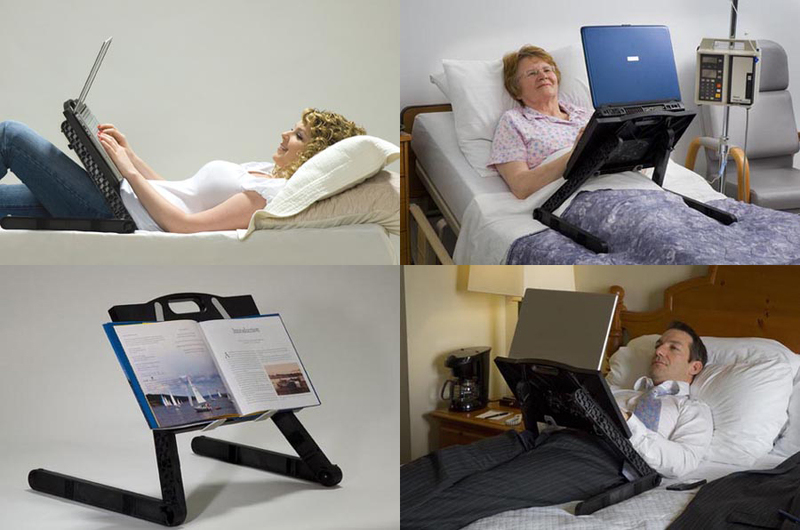 The Ultra-Lite Laptop Laidback allows you to use your laptop in a reclined position in bed, an easy chair or the sofa. 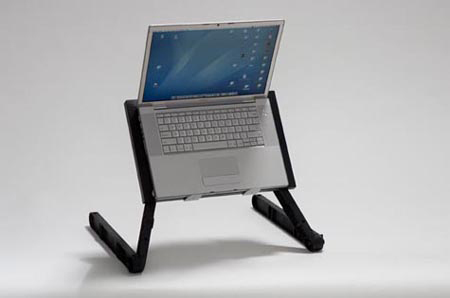 The Ultra-Lite Laptop Laidback can accommodate a wide range of body sizes, arm lengths, and hand sizes. 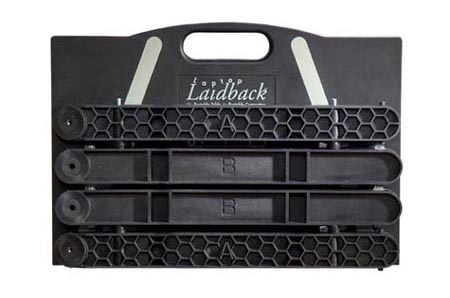 The Ultra-Lite Laptop Laidback is made of lightweight injection-molded plastic. 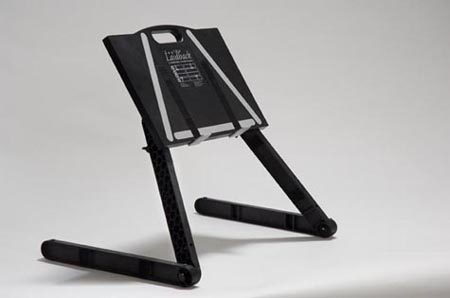 It is 2.0" thick, and weighs less than 3 lb, and will support 22 lbs. 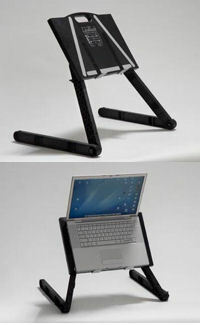 The Ultra-Lite Laptop Laidback can be packed into a briefcase or knapsack, or it can be carried by its built-in handle.